When I was 8 years old I found my Grandad's wallet in his garage full of old, pre decimal coinage. This really sparked his interest with coins and with my Grandad I began to learn more about coins and their history. What really grabbed me with the coins my Grandad had was they each had a story behind them, some being passed down through the family and some that are simply forgotten about. 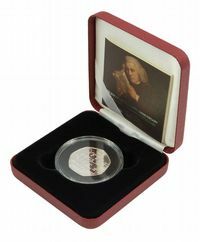 My interest continued as I grew older and by the age of 18 I began coin dealing on a small basis along side working full time as a manager for a local company. As time went on I was working long night shifts and work became my sole priority this meant I was unable to continue with my coin dealings, this led to his coin hobby being something of the past but also something that has never left me. In 2012 I met Lindsey, my soon to be wife and was working in a totally different field managing my own webmaster company. After Lindsey moved in she began to notice I needed a hobby as I was always working and always on my computer. I took Lindsey's advice and soon began buying coins again and selling them on a very small scale from our spare bedroom, instantly all my old memories came back when it was my Grandad and myself finding and learning about old coins. Within 6months my coin collection was growing as was the demand for old coins something which I didn't expect and took me by surprise. 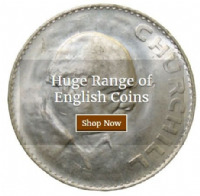 My entrepreneurial skills were itching and the English Coin Company was born.